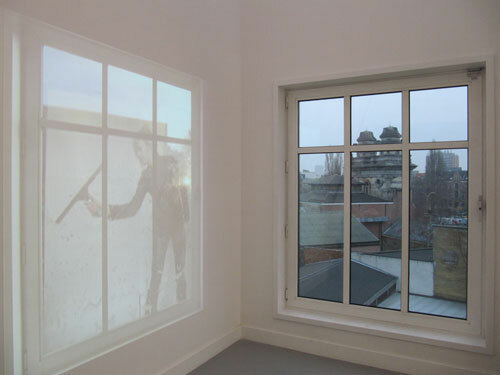 The installation 'stunt double' presents 2 landscapes next to each other. 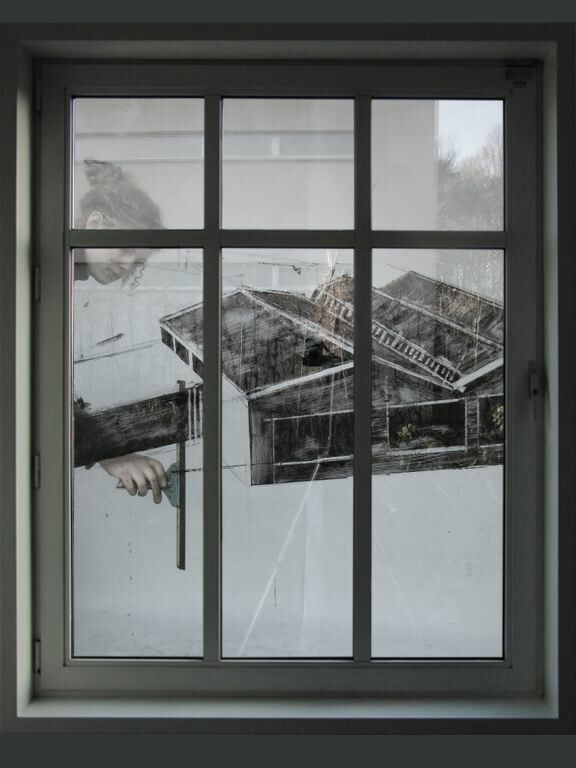 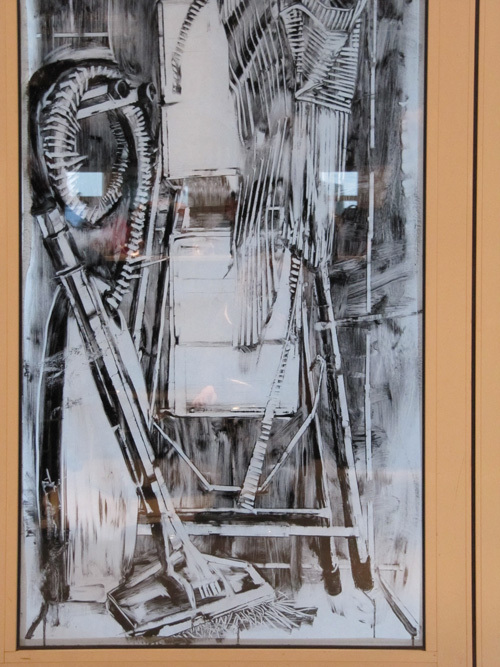 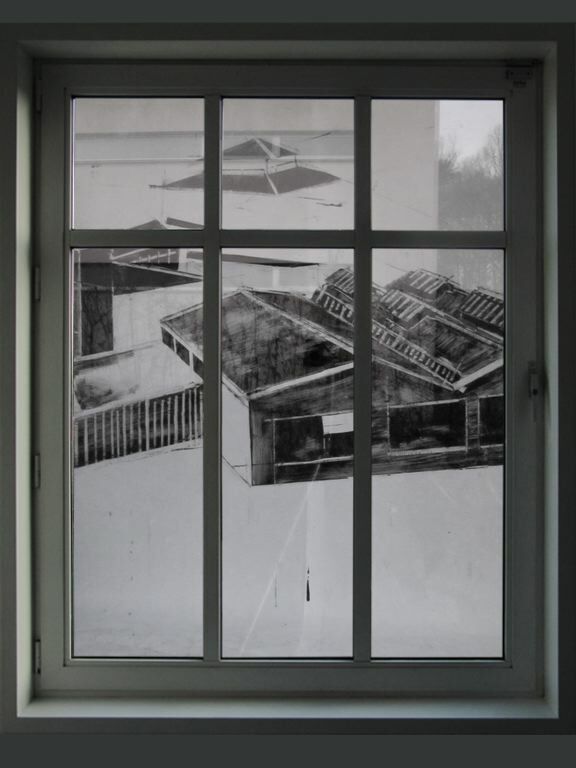 The real reality, seen through the window and a composite image, a fictional reality, that was projected next to it. 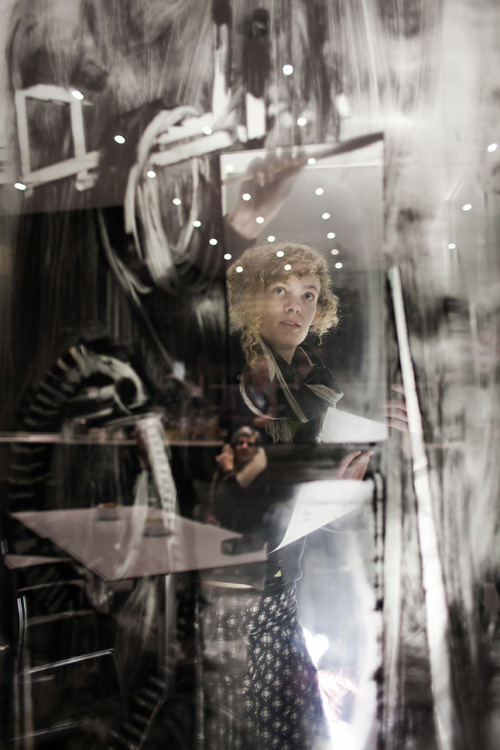 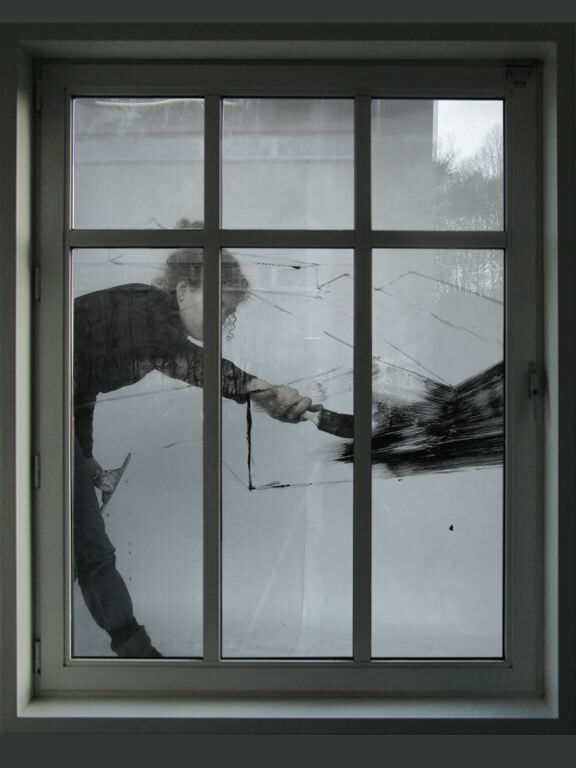 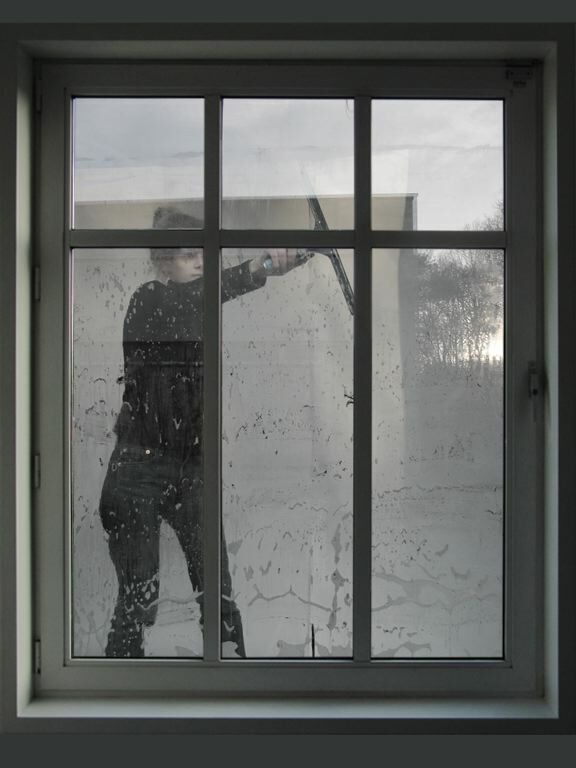 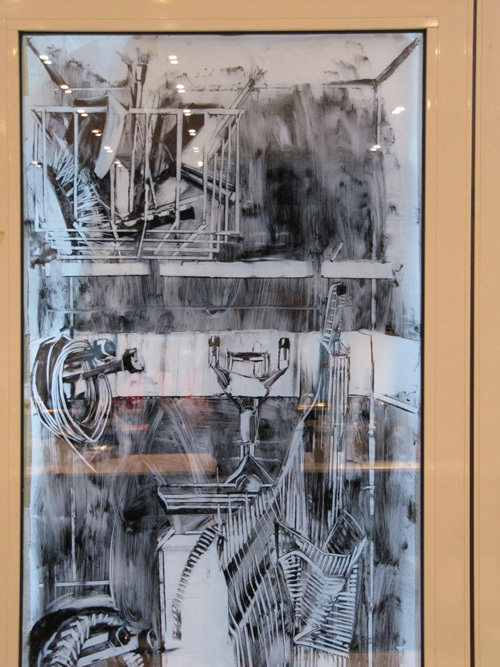 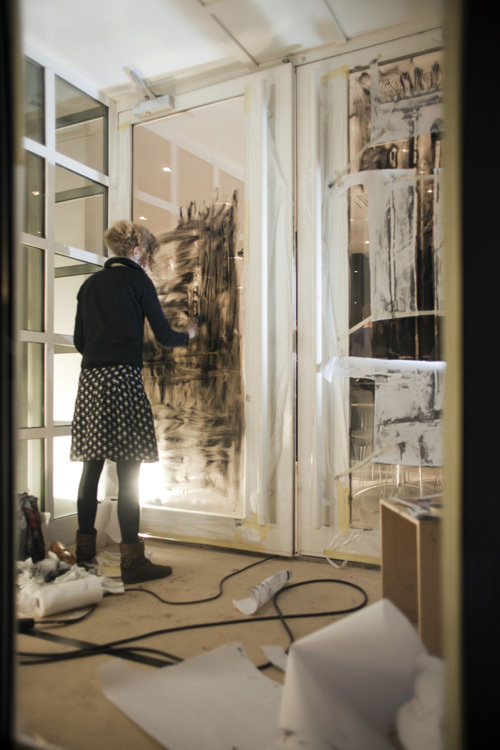 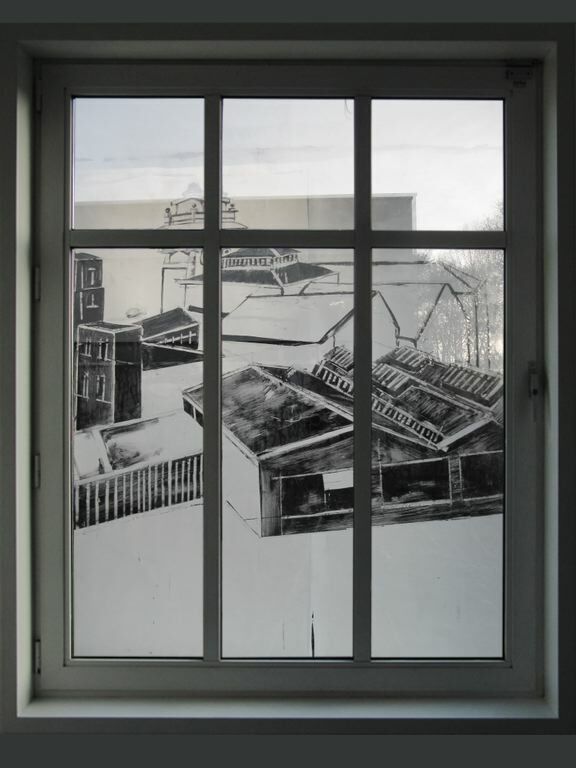 The projection is a drawing, a translation of the landscape seen through the window. 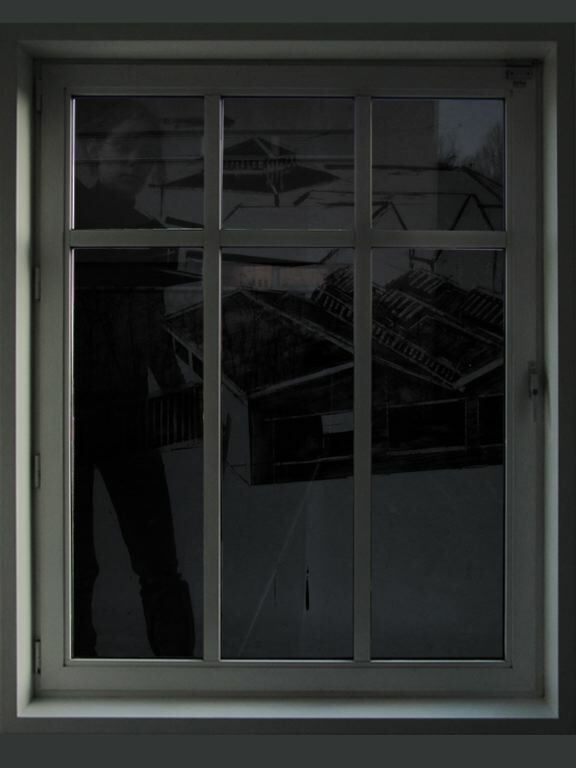 A thought shadow.